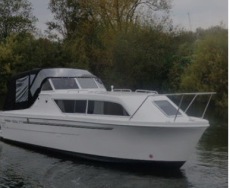 The Viking 32, is the largest boat of the range, yet surprisingly easy to handle and manoeuvre. With the benefit of a totally separate aft cabin with full standing headroom, full size adult berth and separate shower compartments aft and forward. The Viking 28 offers all the benefits of a much larger craft with the added attraction of a narrow canal beam,allowing extended cruising of the inland waterways. 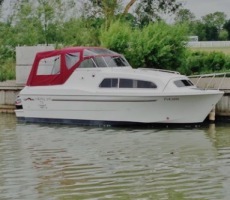 The 28 combines attractive styling with the advantages of modern design and layout. 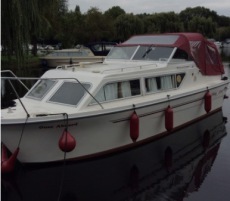 The Viking 21 is a 4 berth narrow beam cruiser ideally suited to inland waterways/canals. 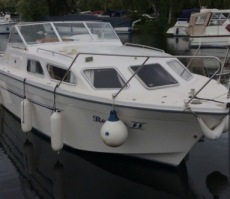 The cabin is very spacious for a boat of this size with a well-planned galley & separate toilet/wet room. The attractive cockpit is roomy and well laid out. With the NEW 275/275 OPEN you can have the internal layout to your own personal choice. You can have an open plan or a forward bulkhead so you can have a private bedroom in the front. 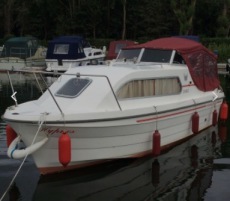 There is a full galley with loads of worktop space and storage. It has a very spacious wet room with a sink and toilet. The Cockpit area is also very spacious and open with a twin helm seat and a table for outside dining. 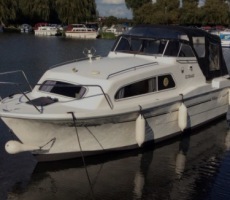 As standard there is a folding screen and a rear door in the stern for easy access onto the boat. The Seamaster 28 offers outstanding space, specification and great value for money, the stylish Seamaster 28 will sleep up to 6 people in comfort. 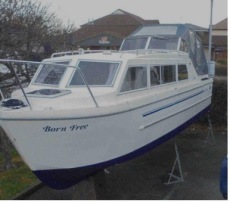 There is a practical L shaped galley and a very spacious wetroom for a boat of this size. 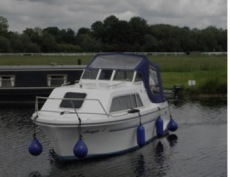 It comes with a choice of inboard diesel engine or outboard. Standard specification includes hot and cold water, shower, full cooking facilities, fridge, 240v shorepower, folding windscreen and stereo CD player. The Seamaster 28 has all the space needed for entertaining in the main saloon or the large cockpit; she is certainly a boat to aspire to. 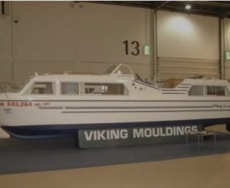 TheViking 26 wide beam is the flagship of the range. If it’s more time afloat you’re after enjoying long term cruising, theV26 wide beam ticks all the boxes. The Viking 24 is the most popular choice amongst mid-range cruisers on the market.Excellent value for money considering all the many top-range features. The peoples choice boat. The Viking 255 is a new addition to the Viking range. Some features include: • Open plan galley saloon with table and seating • Exceptional headroom • Large windows allow lots of natural light into the spacious cabin. 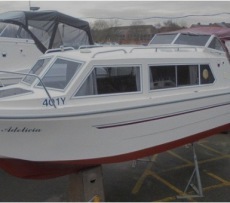 The Viking 20 is a modern design and ideal for a starting boat for those wishing to get afloat for the first time on the rivers and wide beam canals. On the inside the Viking 20 has an open plan construction with large windows allowing plenty of natural light to enter the spacious cabin. This model also contains a lavatory compartment and easily accessible galley. The cockpit accommodates enough seating for those relaxing evenings with a glass of wine and a view of the picturesque surroundings.